(Reuters) - A police officer wounded in a shooting rampage in Baton Rouge, Louisiana, last year that left three officers dead sued Black Lives Matter movement leaders on Friday, accusing them of inciting violence that spurred the attack. 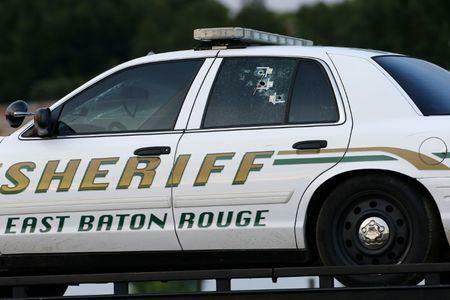 Gavin Long, the black gunman who killed the Baton Rouge officers and was later shot dead, identified himself as a member of an African-American offshoot of the anti-government, mostly white Sovereign Citizen Movement, documents showed. Last year, McKesson and two other activists sued the Baton Rouge police department and other officials over the arrests of nearly 200 demonstrators during mostly peaceful protests over police killings.